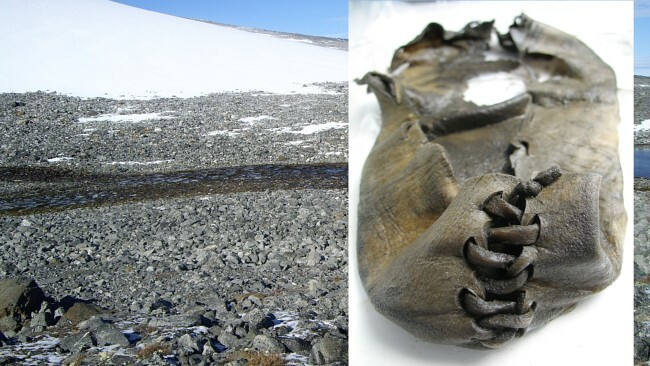 The leather shoe found in the north of the Jotunheimen National Park in the autumn of 2006 was far older than first estimated: 3400 years have passed since it was first enclosed in ice. It is not only Norway’s oldest shoe but also the oldest-known Norwegian clothing. It is made of tanned leather and measures 9.8” (25 centimeters), ca size 7 (Europe size 39). The back seam is well-preserved and there are indications that some kind of shoelaces were used. – In the beginning we assumed that the shoe was about 1000 years old, so it came as a big surprise when the analysis told that the leather dates 3400 years back in time, says County Archaeologist Espen Finstad at Oppland County Authority. – It is the oldest object related to human activity ever found in Norway. It was found in a snowdrift, he continues. The shoe made in the early Bronze Age, which in Scandinavia is lasting from 1800 to 550 BC, was discovered at Kvitingskjølen in Lom municipality. Ritual “scare sticks” used to frighten reindeer during hunt up until the 700’s AD were also found in the same area, along with arrow shafts and a wooden spade. – The age of the shoe tells us that this area must have been a hunting ground for a long period, with a snowdrift that attracted reindeer, Finstad tells. No one knows what kind of leather it is made from, but the assumption is reindeer skin. 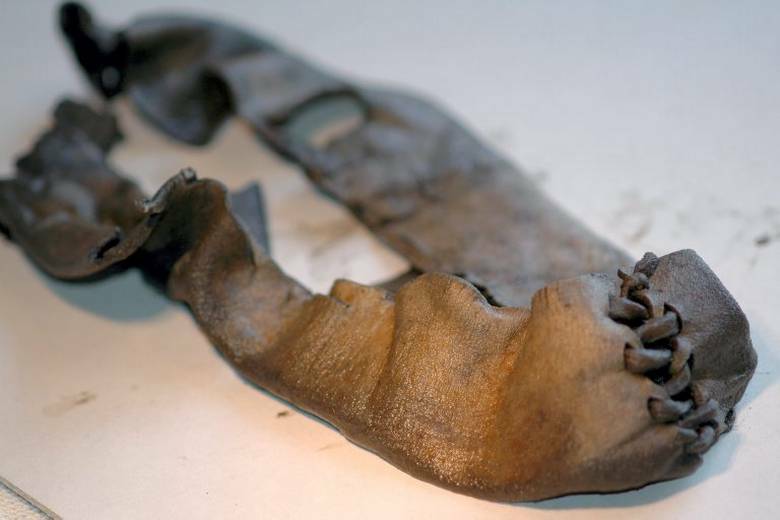 Until now, Norway’s oldest shoes were a pair found in a bog in Nordland county in the 1950’s, dated back to 365-295 BC. The shoe discovered in Kvitingskjølen was C-14 dated in the United States. – The shoe must have been packed in ice for 3400 years. After it was found, it quickly began to show signs of disintegrating, says Dr. Art. 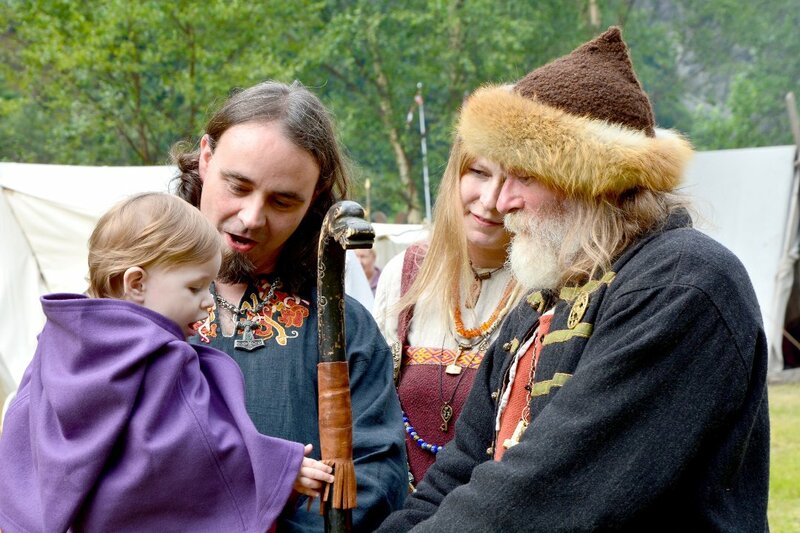 Marianne Vedeler, – specialist in medieval clothing at the Norwegian Museum of Cultural History. It is a simple type which was in use until the 1600s AD. Egyptian sandals are considered among the oldest shoes in the world and originate from around 2500 BC. Both Jesus and the Roman soldiers walked around in sandals. The Alta rock carvings show among other objects shoes of a type that indicates that they were attached with several straps around the ankle. The rock carvings date from 4200-3600 BC. The Oseberg Viking Ship from year 834 AD contained among many other objects two pairs of pointed ankle boots made of goatskin. This is so cool!! Thanks for sharing. This is amazing, and I hope they put in cases that are free from oxygen so it doesn’t continue to disintegrate!